Three Boy Circus: The Hundred-Foot Journey Out Today! 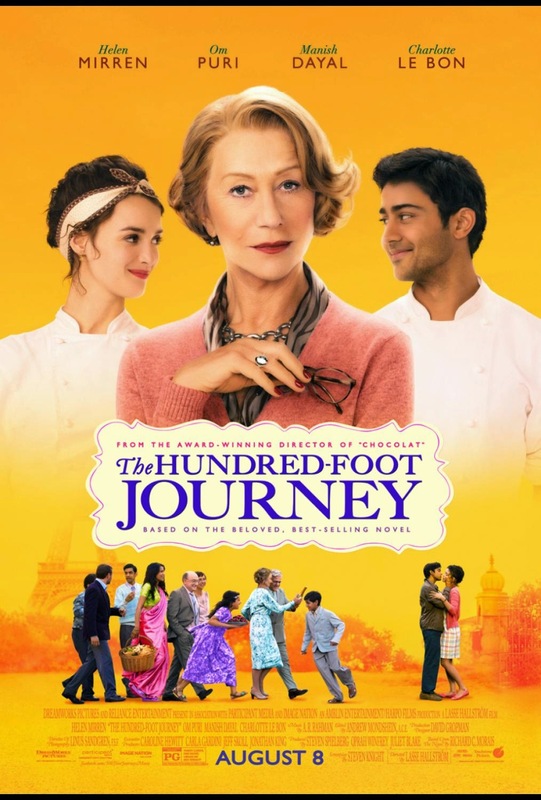 The Hundred-Foot Journey Out Today! In "The Hundred-Foot Journey," Hassan Kadam (Manish Dayal) is a culinary ingénue with the gastronomic equivalent of perfect pitch. Displaced from their native India, the Kadam family, led by Papa (Om Puri), settles in the quaint village of Saint-Antonin-Noble-Val in the south of France. Filled with charm, it is both picturesque and elegant – the ideal place to settle down and open an Indian restaurant, Maison Mumbai. That is, until the chilly chef proprietress of Le Saule Pleureur, a Michelin-starred, classical French restaurant run by Madame Mallory (Academy Award®-winner Helen Mirren) gets wind of it. Her icy protests against the new Indian restaurant a hundred feet from her own escalate into a heated battle between the two establishments until Hassan’s passion for French haute cuisine — and for Madame Mallory’s enchanting sous chef, Marguerite (Charlotte Le Bon) — combine with his mysteriously-delicious talent to weave magic between their two cultures and imbue Saint-Antonin with the flavors of life that even Madame Mallory cannot ignore. At first Madame Mallory's culinary rival, she eventually recognizes Hassan's gift as a chef and takes him under her wing. "The Hundred-Foot Journey" abounds with flavors that burst across the tongue. A stimulating triumph over exile, blossoming with passion and heart, it is a portrayal of two worlds colliding and one young man’s drive to find the comfort of home, in every pot, wherever he may be. This movie definitely looks interesting. I love food and hey, it's based upon a novel (I have yet to read)! Follow The Hundred-Foot Journey below!